The Edwards Christmas traditional shaving box 3 piece. Will bring your loved ones so much cheer. Serious brownie points earning your way out of any washing up. With 120 g of our new Charcoal shaving soap the Smoke which is a most exciting cockney based traditional shaving soap. 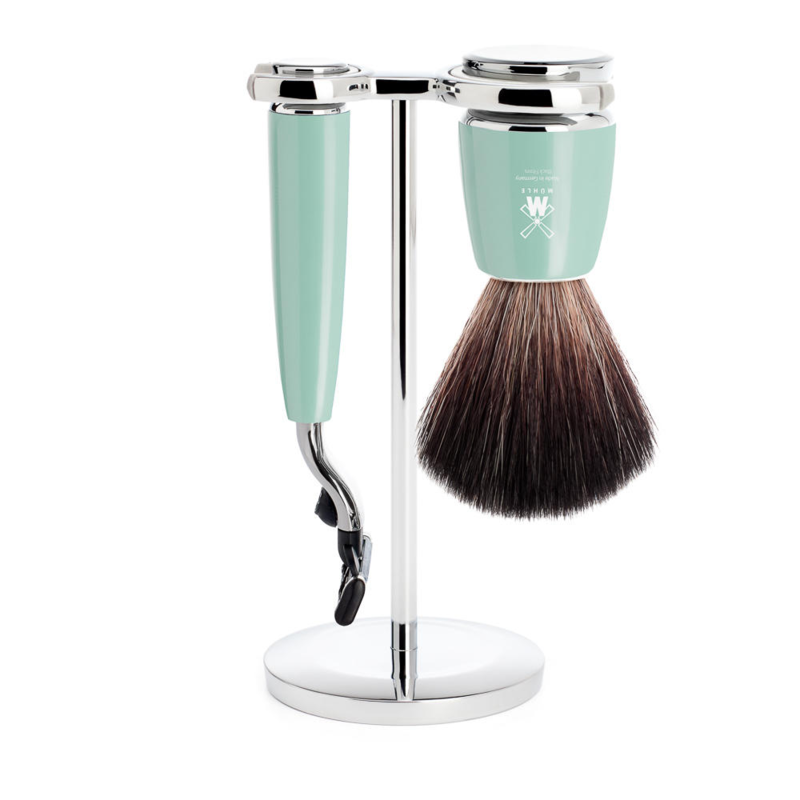 Also for you to lather this exceptional product, we have also included a Edward’s chrome faux badger brush. Wonderfully shaped and will look great in any bathroom. We have Included a block of Alum to. Which is a 19th century shaving marvel that seals any cuts. Also cooling the skin and protecting it from bacteria. We are particularly proud of our new shaving soap. Also charcoal Is a 19th century antitoxin use for gas masks. This will take Impurities out of your skin. Also sea salt will repair your broken skin from shaving and encourage new growth. Festively scented with Juniper and lemon, bringing forth a Gin and tonic overtone. London’s favorite drink since 1827. 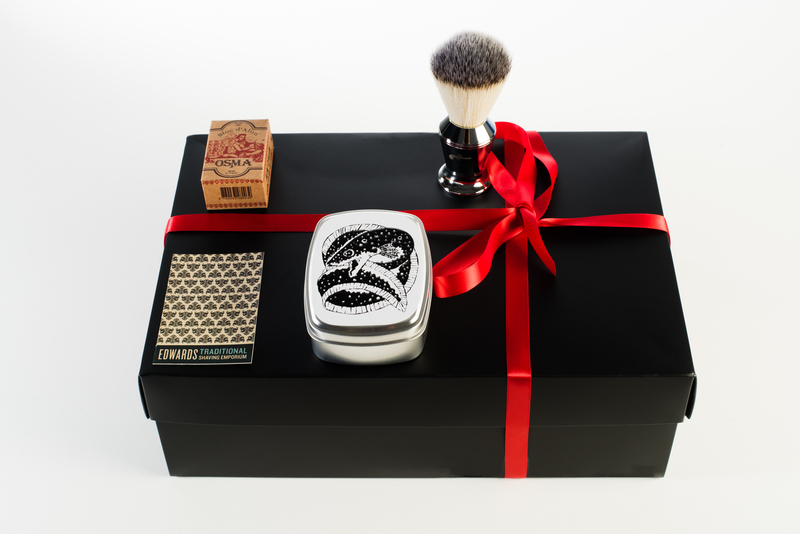 We have Impeccably presented this traditional shaving kit for you too, In a matted black gift box, tied with a silken red ribbon. Edward’s is a top brand that makes great products. 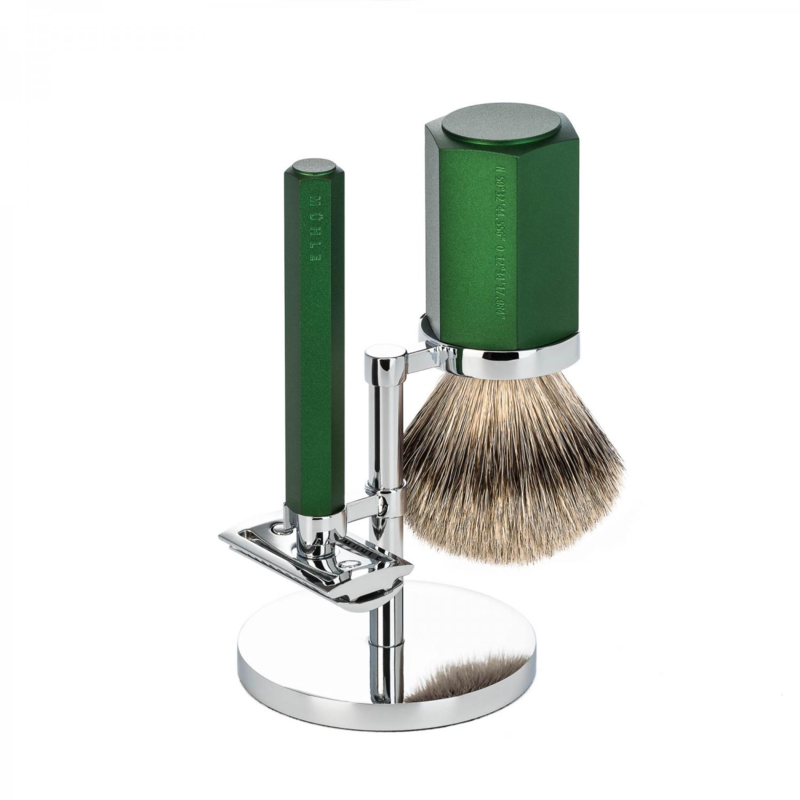 The Edwards Christmas traditional shaving box 3 piece. Has been noted as a great gift by many customers. Last year they were well recieved. 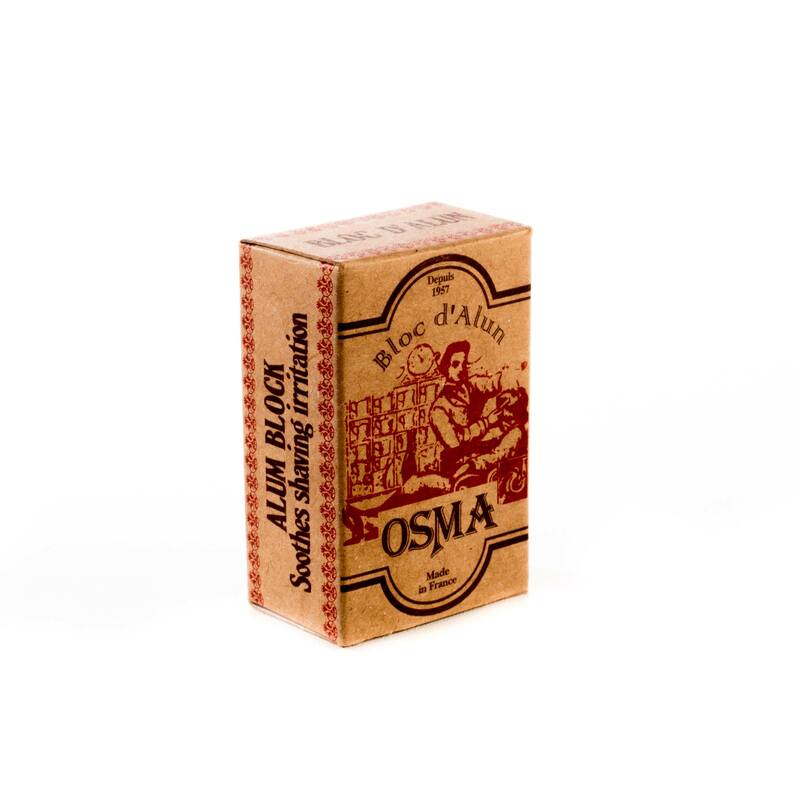 Traditional shaving soaps will last you a long time which is another perk. Shaving this way is also a lifestyle choice that once you start. Nothing else will do. We will send this rather lovely, well priced set to you free of charge. But think fast, we have limited number of these great kits. For an added razor why not try the 4 piece set.